Normandy is a desirable village to live in. Despite its closeness to London it has an open character that also contributes to the openness of the Green Belt in which it lies. But this rural lifestyle is increasingly under threat. 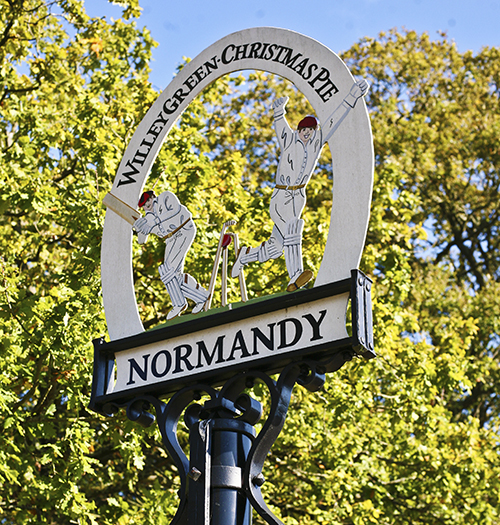 The pressure for more homes in the South East, coupled with the preference of housing developers for greenfield over brownfield sites, makes the open spaces of Normandy an attractive target. Luckily we are protected by the Green Belt, but it is constantly under threat, and if we want to preserve the things that are important to us we have to understand and engage with the planning process and feed our views in to planning consultations. Although we take our name from the Parish of Normandy, which comprises the settlements of Normandy, Flexford, Christmas Pie, Willey Green, Wyke and Pinewoods, we also engage with issues in neighbouring parishes when they affect our lives here. We are also alert to wider planning issues at the level of Guildford, Surrey, and nationally. You will see this reflected in the different sections of this website. We are not in any way ‘anti-development’ but we are against inappropriate development that would destroy the character of our neighbourhood. We are also concerned to ensure that the spirit of the planning system is respected, and that cynical exploitation of loopholes is resisted. Our aim is to keep local residents as informed as possible about planning matters and empowered to decide for themselves about development policies and plans. We communicate mainly by a regular e-Newsletter, to which you can subscribe by clicking on the ‘Follow Us’ tab and letting us have your name and contact details. From time to time we also organise public events that help to explain different aspects of the planning system. We do not currently ask for any annual subscription. If you care for and want the best outcome for your community please do follow us.